It’s not totally unexpected news; he had been ill (cancer and strokes) for years. But that doesn’t make the passing of Levi Stubbs this morning any less jolting or less sad. It’s jolting because of that voice — the voice that launched millions of cranked radios, moved millions more bodies to dance floors, boosted adrenaline levels throughout Young America and provided the balm for thousands of deeply aching hearts. It was a voice that screamed life, not death. (Of course, it was also a voice that screamed “Feed me!” but that’s another story.) As the frontman for The Four Tops, Levi was maybe the most impassioned pop singer of our generations. Stubbs took every song and made it his own, assumed every ounce of emotion being conveyed in the lyrics and poured it out as if he wrote the songs themselves — with all the subtlety of human emotions and all the might of a sledgehammer. That’s soul. And that’s a distinction Michael Bolton, with his unsubtle, Muscle Beach approach to music, never understood. And even their post-heyday hits — “Are You Man Enough,” their versions of “Walk Away, Renee” and “If I Were a Carpenter” — had might to them, those delicate balances between smooth deliveries and raw power. 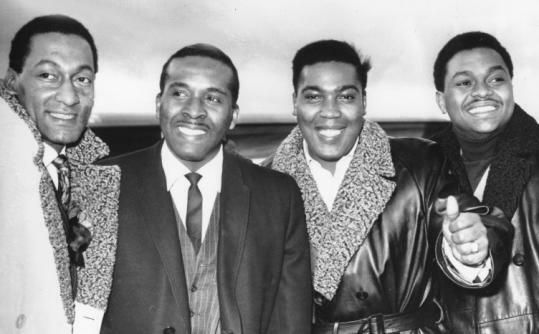 And The Four Tops were not only testaments to incredible singing, but to patience and to brotherhood. The foursome teamed up in 1953 — when Stubbs and high school friend Duke Fakir met Lawrence Payton and Obie Benson at a birthday party — and performed together, with the same four guys, until Payton’s death in 1997. (Fakir is the lone survivor, as Benson died in 2005, and he carries on with three other singers.) Who stays together 44 years, let alone 44 months? And they worked for 10 years — singing jazz and R&B, playing nightclubs and supper clubs and working with Billy Eckstine — before Berry Gordy signed them to Motown. They didn’t acheieve success until long after other acts would’ve said “I quit.” The good things usually rise to their place; sometimes it just takes longer than one would like. 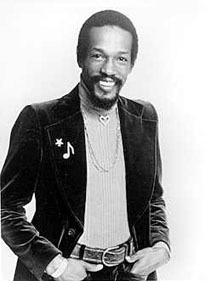 Stubbs never got nearly the recognition he deserved because, like Eddie Kendricks and David Ruffin of The Temptations, he was part of an ensemble. But even if you didn’t know his name, you knew his songs and you sang along. And if you were high on life, you played some of their uptempo songs and felt even higher. And if you were down, you put on one of their sad songs and felt at least someone understood. This entry was posted on May 30, 2010 at 11:22 pm and is filed under Pop music, Pre-Franorama World archives, Tribute. You can follow any responses to this entry through the RSS 2.0 feed. You can leave a response, or trackback from your own site.